The 18th December is coming up, the dreaded day of my fortieth birthday! What am I doing to celebrate? 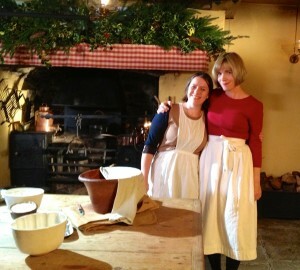 Well, on Wednesday evening at 8pm I shall be helping my chum Annie Gray to make Nesselrode Pudding on the Food and Drink Christmas Special on BBC2. 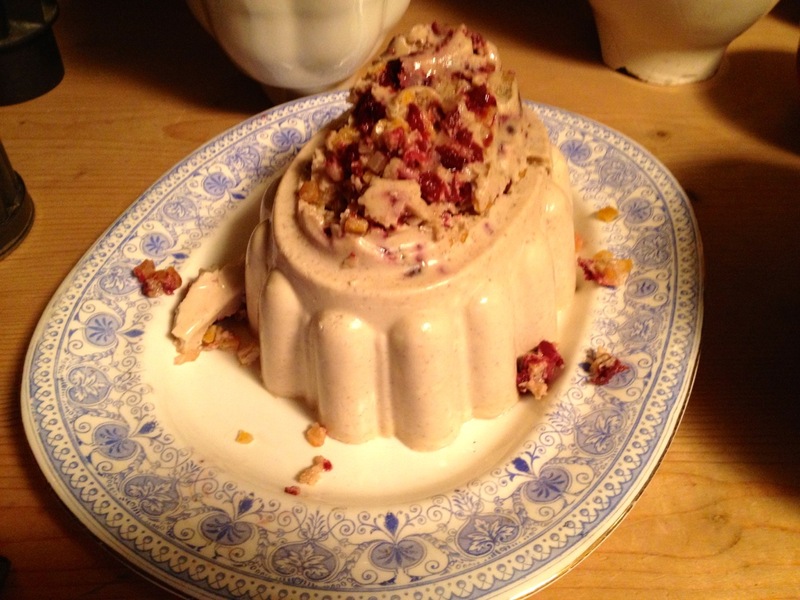 Nesselrode is a very Christmassy creamy jelly with chestnuts, ideally brandy, and lots of dried fruit. Annie is my favourite professional food historian, and I do recommend that you visit her site. Anyway, Nesselrode Pudding is a Victorian dessert, served as just one item among a great big spread of dishes making up the third course of a meal. 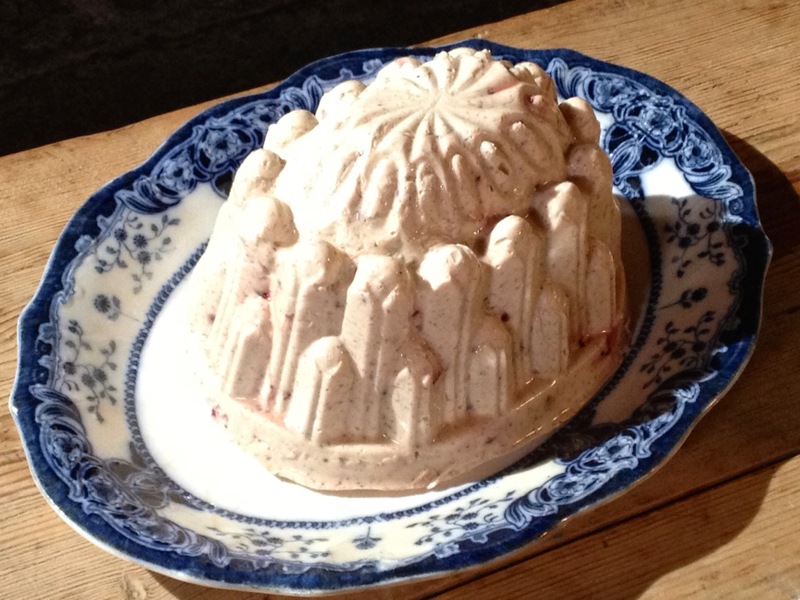 Victorians loved turned things into gloop and them setting them in moulds, and Nesselrode is a kind of frozen ice-cream jelly. Who was Baron Nesselrode, you ask? A Russian diplomat who attended the Congress of Vienna, I reply. 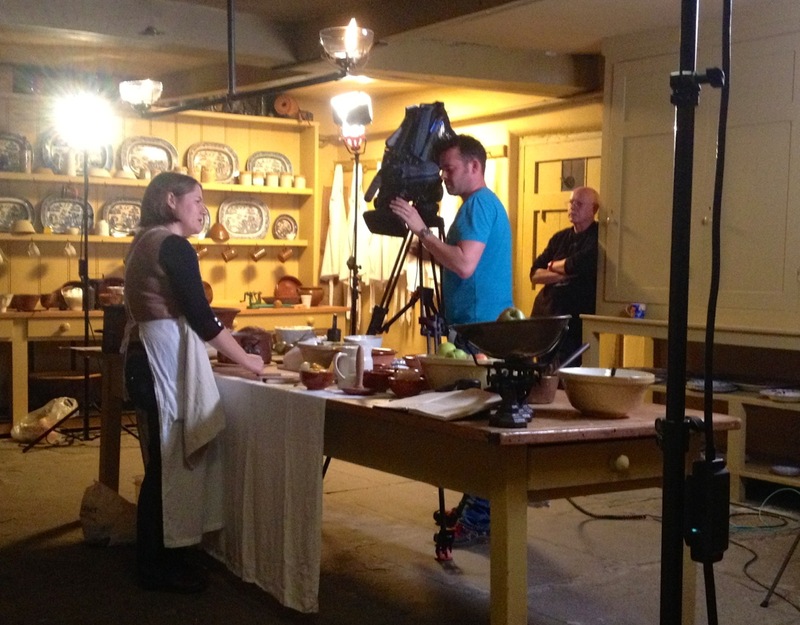 We did our filming in the wonderful cavernous and gas-lit kitchens at The Judge’s Lodging, Presteigne, in Wales. I’d never been there before, but WHAT a stunning place. I’m sorry to report, from Annie’s point of view, that our director had a bit of an upstairs-downstairs thing going on. So I got to swan around in the smart rooms upstairs, and Annie got to slave away in the kitchen. At one point she was even told to take off her lipstick because it was making her too glamorous! Ouch. Sorry, Annie. The pudding involved getting 24 sweet chestnuts and mashing them through a sieve with an implement like a big wooden toadstool. In the programme you may notice a slightly over-the-top level of triumph and jubilation when the pudding slithers out of its mould in one beautiful piece. That’s because what you DON’T see is the previous pudding sort-of-exploding on its exit from the mould, and the one you DO see represented our very last chance! So here’s the recipe for Annie’s Nesselrode Pudding, which she shared on Twitter (@DrAnnieGray). It’s based on Eliza Acton’s recipe, 1845. 2. Obviously, you can take whole ones, blanch, peel, swear, weep. But I wouldn’t. Force the chestnuts through a wire sieve, or food process. 3. You’ll have a fine, slightly moist, floury paste. Add ½ pint single cream. Set aside. 4. Now heat ½ single cream with the peel of ½ lemon and 2-3 oz sugar. 5. And 1/3 chopped vanilla pod (or some extract). Don’t quite boil, then lower the heat and infuse for 20 minutes. Soak gelatine sheets in cold water. 6. Use 4-6 sheets depending on how wobbly you want it. 5 is a safe option. Once they are thoroughly softened, add to the hot cream and stir. 7. They should dissolve. If not, heat the cream some more. Now strain into the cost chestnut mixture and leave to cool completely. 8. Chop finely 2oz each dried cherries and mixed peel. When the cream mix is really thick, add the fruit. 9. Prepare whatever mould you are using. Trex is your friend for demoulding from ceramic or glass. Ensure the mix is cold and bung it in. 10. Chill for at least 5 hours before turning out. NB. If the fruit goes in too early and sinks to the bottom as a result, disaster will ensue. And here’s some more Christmassy stuff from my blog, if you’re now in the mood! Hope you have a happy birthday on Wednesday. Don’t let the number bother you. I’m a December baby as well although a lot older than you. It’s all in the mind. I’m still as daft as a brush and long may it last. Have a very Merry Christmas and a Happy 2014. Happy Birthday, my forties were brilliant, I’m sure yours will be too. Merry Christmas too. Happy 40th on Wednesday Lucy. Time to plan a new book and TV series? I’ve been reading recently about follies – of the building sort – and can see you really doing the topic justice. All power to your elbow. Very happy special birthday Lucy. And there’s you exactly ten years younger than Brad Pitt; he’s going to be so jealous! Now he has neither youth nor brains! Glad the Nesselrode tasted OKI – it looks rather like the result of surgery (like that pickled stomach?) Even so I found it preferable to some of the stuff they were preparing on the rest of the programme. And CAN the bubbles in fizzy wine ever be “aggressive” ? Happiest of Birthdays, Lucy. 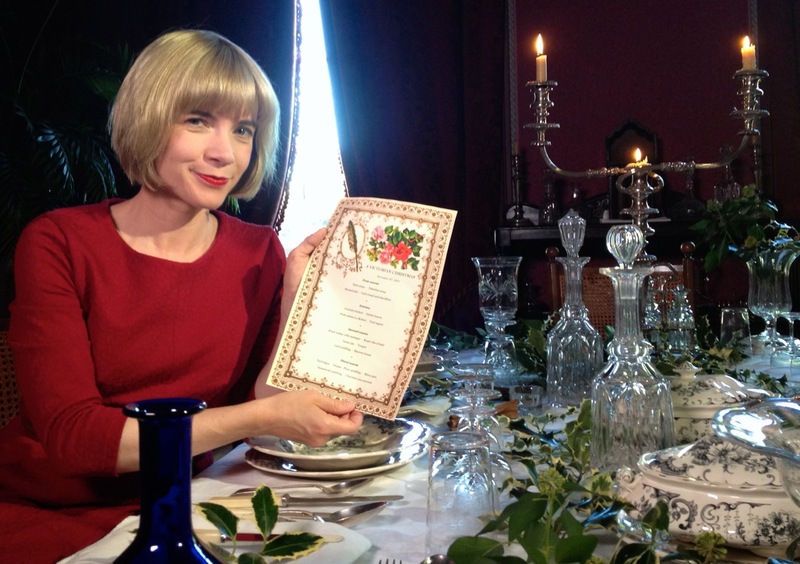 I’m going to celebrate your big day by turning on Part 3 of Antiques Uncovered shortly. TVOntario has been running it, and prior to that, If Walls Could Talk. Thanks to them, I’m a big Lucy fan. A belated Happy Birthday to you Lucy. I hope that you received all the things that you wished for and then some! 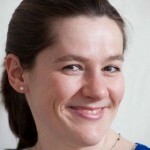 Lucy, Saw you on the Food and Drink Programme. Intrigued by The Nesselrode Pudding. Made it for Christmas absolutely delicious! My wife and myself really enjoy your history programmes which you bring vividly to life with your unique and special presenting skills. Looking forward to future programmes. 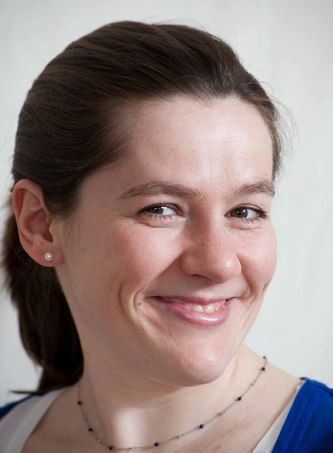 My website is in the very same area of interest as yours and my users would really benefit from some of the information you present here.